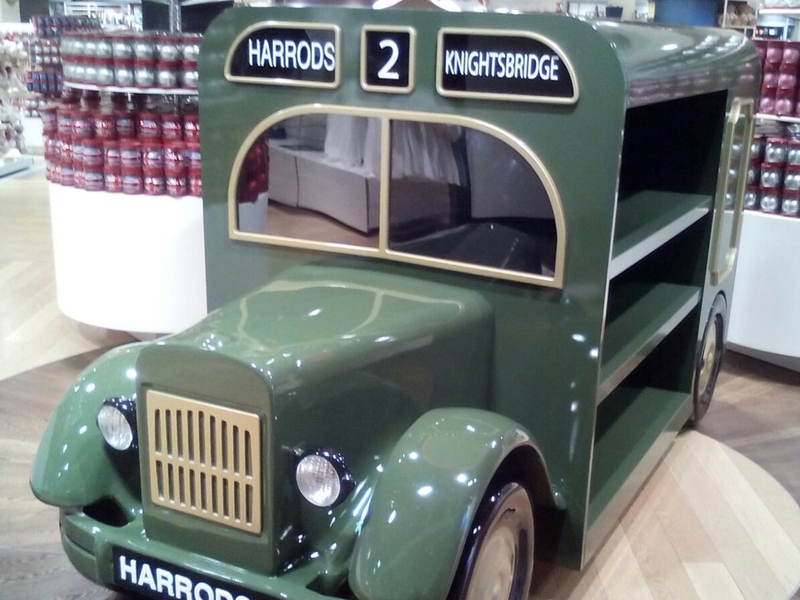 Propability were commissioned to re-create the traditional vintage styled Harrods delivery truck to house product in the second floor gift shop in the store. The bus with its open top merchandise display for giant teddy bears and open back shelves is a perfect display option and has become a permanent fixture. Sculpted on the Propability robotic arm before being fibre glassed with the main structure made from MDF. The piece was assembled on site and was produced in kit form.